Five years after the Harry Potter saga concluded, Fantastic Beasts and Where to Find Them transports us back to a magical world of wizards and witches, but rather than Hogwarts, this story takes place in the vast metropolis of 1920s New York, long before Harry, Ron and Hermoine were even born. 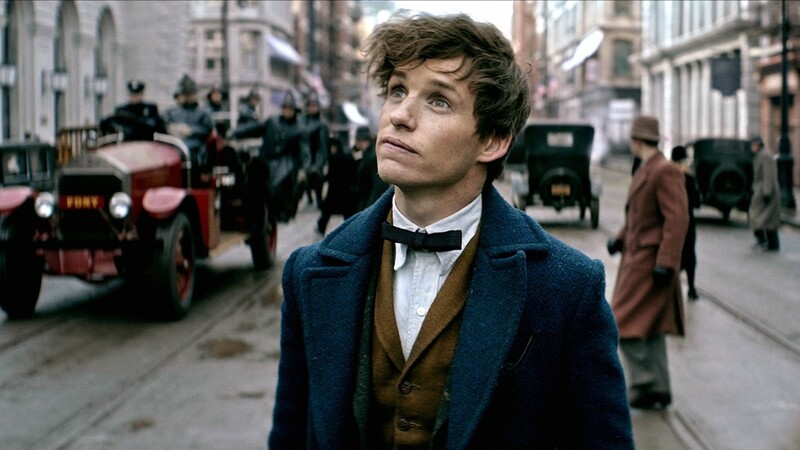 Into Film Ambassador Eddie Redmayne plays Newt Scamander, a 'Magizoologist' conducting research into the care of magical creatures for what will one day become a seminal textbook for generations of the wizarding community - including one Mr. Potter! Arriving in New York by ship, Newt's ordinary looking suitcase is actually full of exotic and often extremely mischievous beasts, as well as the gateway to magical hidden dimensions. Using handy tricks, he is able to sneak the creatures past the immigration officers of Ellis Island, but a mishap finds the suitcase in the hands of Jacob Kowalski, a ‘No-Maj' (the American term for ‘Muggle') who unwittingly sets the beasts loose across the city, where they begin wreaking total havoc. This sparks a chain of events that threatens to reveal the wizarding - hiding in plain sight among an intolerant society - to the wider No-Maj world. Developed as a spin-off to the Harry Potter series, the film the first in a series of five has to introduce audiences to a whole new world and set the scene for numerous adventures to come, while still ensuring that it satisfies as a stand-alone title. Of course, the first Harry Potter film also had to do this, but that film had the advantage of having millions of readers around the world already engrossed in the stories. With Fantastic Beasts, all audiences have to go on is the slim Fantastic Beasts textbook which was written by J.K. Rowling for Comic Relief. The process of constructing an entirely fictional world within a narrative is known as 'world-building'. The Hunger Games, The Matrix and Star Wars all succeed brilliantly in doing this with just one film, drawing audiences in with a vast realm of characters, plot points and escalating excitement, even as those franchises sometimes struggled to live up to that promise in subsequent sequels. Perhaps the best example is The Lord of the Rings: The Fellowship of the Ring, which delivered a captivating 9-minute opening prologue that conveyed thousands of years of Middle Earth history and introduced many of the story's crucial characters in an accessible bite-sized chunk. For properties based on existing source material, world-building has to effectively capture the vision of the original author, reassuring fans that the story is in safe hands, while also providing enough accessibility for newcomers. While Fantastic Beasts benefits from the millions of J.K. Rowling fans around the world, the story and characters here are entirely new, giving the filmmakers the challenge of creating something that's both fresh and familiar. The answer to this was setting the story in the past, in a different country that has its own distinctive wizarding language and customs. Other than a handful of references to Dumbledore and Hogwarts - where Newt was once a pupil - there is little to suggest a direct link to Harry Potter, although it seems likely that the two stories will merge more as the saga develops. The New York of Fantastic Beasts is positioned firmly in the midst of The Roaring Twenties. Lasting roughly from the end of World War One until the Wall Street Crash in 1929, it was a time of economic prosperity, liberated culture, technological advancement and a greater role for women in society. But it was also an era on the edge. Some lived in extreme poverty, while Prohibition (a law banning the manufacture and sale of alcohol) gave rise to Speakeasies - illegal underground establishments that sold alcohol and were often linked to gangsters and organised crime. Newt finds himself surrounded by all of this, but the era is also given a magical twist, so that while the city has the romantic-yet-realistic look of films such as The Great Gatsby, Some Like It Hot and Bugsy Malone, it is also slightly more fantastical. This melding of the real world and fantasy accounts for much of the charm of Rowling's stories. In many ways, life at Hogwarts resembled the day-to-day experience of school life in our own world. In Fantastic Beasts, that means ingenious ways of making apple strudel without bothering to cook, or drying the washing in double-quick time. Where a series like Star Wars takes place in a galaxy far, far away, Harry Potter and Fantastic Beasts only require us to make a couple of small imaginative leaps to transport us from our world to that of Harry and Newt. And what of Newt himself? As a charming, playful, wide-eyed, but rather shy character - Newt is more comfortable spending time with his magical creatures than real people - there is something familiar about him too. His foppish and very English personality is reminiscent of The Doctor from Doctor Who, or perhaps a young Hugh Grant. But Newt also gets into all manner of physical scrapes, bringing to mind the great silent comedians Buster Keaton and Charlie Chaplin, or more recently, Rowan Atkinson's Mr. Bean. Newt is a voice of tolerance and compassion in the story, calling for education into how two different species can co-exist and learn from one another. The world of Fantastic Beasts is a dazzling one, but the film also takes place in a society full of prejudice and discrimination - themes that look set to dominate the story over subsequent films. The film seeks to celebrate difference and outsiders, and champions those that refuse to live in shame or conceal who they are from the world, providing some serious messages for young people to take on board amongst all the magic and delightful silliness. Introducing a new saga to audiences that loved Harry Potter - as well as newcomers - is a huge task. Throwing in a story that - while remaining first and foremost acting as a piece of escapist entertainment - also contains powerful and pertinent messages about our own world and its tendency for intolerance makes it doubly ambitious. But Fantastic Beasts succeeds, building a new world that is fresh but familiar - like our world but better - and enchants us all over again. We cant wait to see what happens the next time Newt climbs into his suitcase! Listen to Eddie talking about the film below, or log in to soundcloud to download and listen on the go. 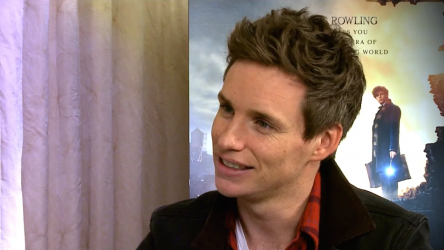 Into Film Ambassador Eddie Redmayne sat down with one of our young reporters to discuss his new film, and emphasise why he supports our work at Into Film. The Into Film Awards are back again for 2017, as we set out to find the best young filmmakers, reviewers, film clubs and teachers of the past twelve months. 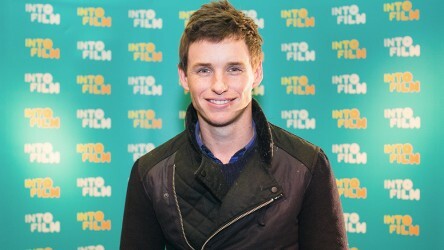 We're delighted to announce that Oscar-winning actor Eddie Redmayne has agreed to become an Into Film ambassador.